October 4, 2013 Speakeasy tour! For any established, aspiring, and small designers among you, the opportunities to learn and greet today are virtually endless. For the curious creatives among you, passionately sewing things for yourselves, your families, and your clients/friends, there are secret doors to be opened, and this ever-changing wonderland of fabrics, notions, and supplies awaits you. For anyone at any level of sewing and design, come along on a "Speakeasy" tour, shopping, brainstorming, and hanging out with people who share your passion! Wanna come? Click below the event, send payment, and the details on meeting time/place will be provided. Open to the public - and FREE! 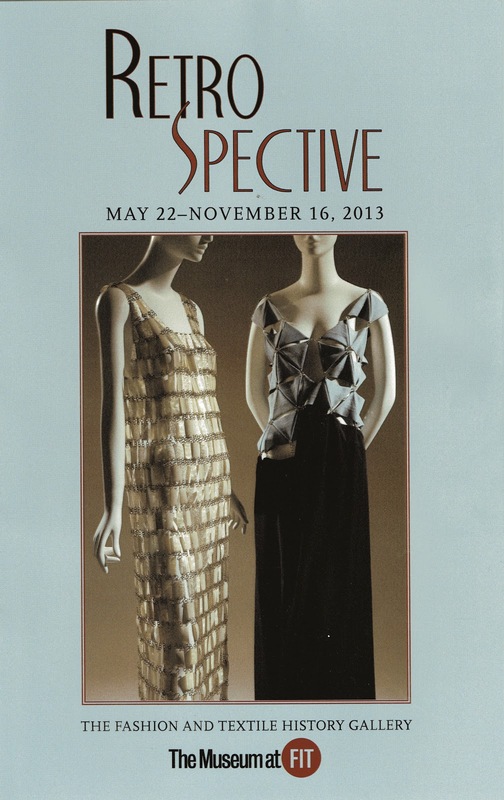 On display from May 22- November 16, 2013, RetroStyle is a wonderful exhibit, curated and organized by Jennifer Farley. Every six months, a changing collection of garments, accessories, and textiles from the museum's permanent collection is put on display in the ground floor Fashion and Textile History Gallery. There are often also additional exhibits downstairs... just not right now. Am I the only one who wells up at the beautifully curated exhibits this museum has been able to display in recent months? Okay, in theory, I'm sure we all get it; the cynic in everyone says "There is nothing new under the sun", or "What's old is new again", or that fashion repeatedly "borrows form the past". Yeah. Thank you, Captain Obvious. No. You have to see this exhibit. See it with a quiet mind, in a peaceful, receptive state, well rested and fed. Give yourself time to step back and ponder. Photos won't capture it. A summary won't do it justice. It was a little noisy and touristy on Friday, but glorious nonetheless. In it, you get a little McQueen, a little Schiaparelli, a little Norell, a little (possibly) Miyake, and some gauntlet gloves that will make you swoon. The clothing practically breathes on its own. "Being retro is associated with something conservative, but I think all ideas come from the past." Oh come on... we've all been there! The event is tomorrow. Or this weekend. You have "nothing" to wear. Payday is a bit too far away, and you haven't budgeted for this. You still wanna look fabulous, current, and creative. What to do...? Top Trimmings - Grab a flower, and put it in your hair or on your dress/jacket whatever. Match an interesting color of shoes you already own. Daytona Braids and Trimming. You can take something simple and boring, and jazz it up, with a bit of creativity. Something I did for a dressmaking client - as posted on my other (older) blog on dressmaking. Fabrics Garden Let's call their pricing "arbitrary". And I mean that in the most respectful way. This weekend, for example, I'm gonna make an $8 dress. At least, I'm pretty sure it will be a dress. I'll show you when I know! Trumart... or is it Truemart? Even Google doesn't know the answer to this question! The signage on the store reads "Truemart", but other sources indicate otherwise. Who cares, right? I wrote a post on this store many moons ago, but there have clearly been some changes since. While still packed to the brim, I shopped there comfortably with about 4 other customers yesterday, finding exactly what I needed, at exactly the price I was willing to pay. Prices are clearly still negotiable there, and the other shoppers made their budget consciousness known, but the fabric quality of their offerings has significantly improved compared to my last trip inside. No longer feeling like closeouts, but more like "lucky finds", the pickins' are much plumper now, and the variety more interesting. Believe me, there's much more you can do. You are only limited by what your imagination (or fellow bloggers and creatives) can dream up. People don't really sew to save money anymore, but for what you can create, the opportunity to really do something fun and fabulous for yourself is irresistible. And if you're in NYC right now, it is cold and raining. Bummer for Memorial weekend plans today, but fire up the machine, and you can make magic. Report back if you do! Follow the links in this post to get a brilliant eyeful of inspiration, addresses, admission fees, and hours. The first exhibit is the one I'm most jazzed about, and then, (if you can still breathe - pretty exciting... right?) are the others I encourage you to check out! To inspire your next garment district jaunt, I encourage you to take a trip uptown to the Metropolitan Museum of Art. Yes, the Met has an exhibit on the Punk movement. If you are a fan of McQueen, Westwood, Rei Kawakubo, and Versace (and really... who isn't?) this is an exhibit for you. Focusing on the relationship between the punk concept of "do-it-yourself" and the couture concept of "made-to-measure," the seven galleries will be organized around the materials, techniques, and embellishments associated with the anti-establishment style. Themes will include New York and London, which will tell punk's origin story as a tale of two cities, followed by Clothes for Heroes and four manifestations of the D.I.Y. aesthetic—Hardware, Bricolage, Graffiti and Agitprop, and Destroy. To top it off, the juxtaposition of this exhibit against another, tamer one is particularly brilliant. Impressionism, Fashion and Modernity is closing next week, and you MUST see it. Not only for the standards you imagine; corsets made to squeeze in tiny waists, and lots of white dresses, but also for the menswear and consumer culture sections, which bring some additional food for creative thought. As if that weren't enough, opening TODAY... the Museum at FIT offers RetroSpective, an exhibit showing pieces in the museum's current collection, detailing how the present continues to borrow from the past. Be sure to check out the Museum of the City of New York, where the Stephen Burrows: When Fashion Danced is showing until July 28. Stephen Burrows: When Fashion Danced is the first major examination of the work of the designer The New York Times called in 1977 the “brightest star of American fashion.” It looks at the period spanning the 1970s when Stephen Burrows’s meteoric rise to fame made him not only the first African-American designer to gain international stature, but a celebrated fashion innovator whose work helped define the look of a generation. With vibrant colors, metallic fabrics, and slinky silhouettes that clung to the body, Burrows’s danceable designs generated a vibrant look that was of a piece with the glamorous, liberated nightlife of the era. Through photographs, drawings, and original garments, the exhibition will trace Burrows’s evolution from creating eclectic looks for his friends in the 1960s to his work with the chic 57th Street retailer Henri Bendel to the floor of Studio 54, as he dressed such 70s style icons as Cher, Liza Minnelli, and Diana Ross. Okay - these are your missions. Report back on your impressions after visiting. I'd love to see your comments! I have added one more "Speakeasy" date, and my summer plans are pretty intense this year, so there will only be the May, June, and October dates below. This one is just before Memorial Day weekend, and a great way to entertain yourself and/or out of town guests! Because it is a holiday weekend, I will even allow you to bring a friend for a "drag someone along" fee of $35, which still includes a great lunch! I'm planning the first themed Speakeasy tour - this one, on Friday, June 21. It will be the last one before the fall. This one will not focus on everyday apparel, but will give you information and resources for doing "the hard stuff". 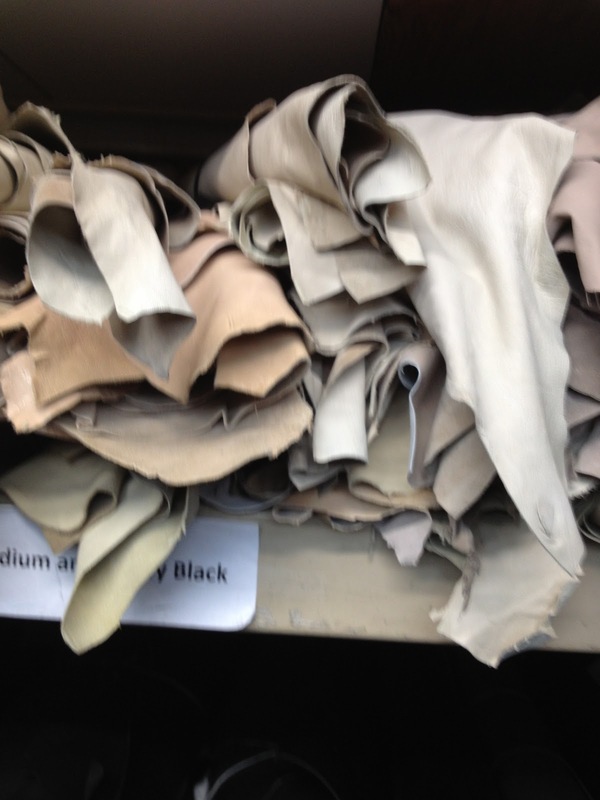 Leather, suede, closures, embellishments, and home dec stuff, where more guidance may be needed to get the job done. 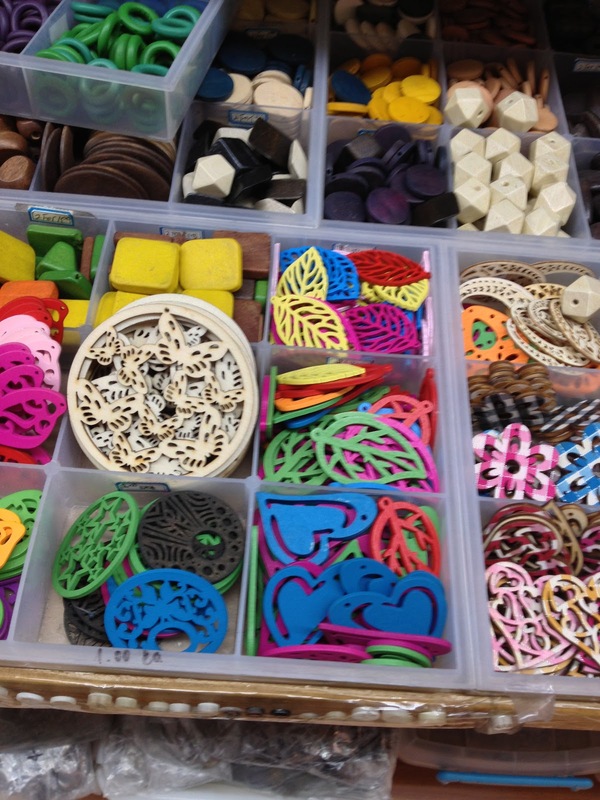 This tour has a more educational purpose, and will include resources for supplies, appropriate tools, and general information on how to work with them. 2PM - until end of business day Armed with your "Secret Map" and your own interest in or desire to visit the many other stores you see or have learned about, you may visit more garment district stores if you wish, and give unique codes (that you'll get from me) to vendors who will give special assistance/discounts. The cost of this guided, efficient tour is $90 per person. If you use this trip to shop, learn, avoid wasted purchases/effort, and participate in what the NYC Garment District has to offer, you will save at least as much as you are paying, and potentially far more. Wanna come? Click below, send payment, and the details on meeting time/place will be provided. You can come along on the October 4, 2013 Speakeasy! Same schedule/description as the May date (above), but in the Fall! 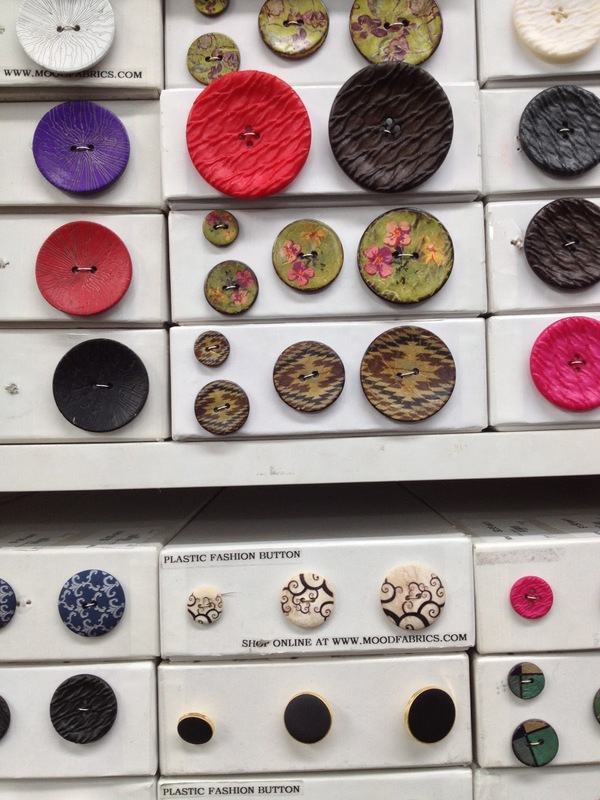 Update 5/22/13: The Mood website is being revamped, as are some of the spaces within the store. Keep your eyes open for more improvements as they move forward! I really enjoy their leather and home dec departments, and ventured in to explore as I work out the design of a bag I'm currently working on. Boy, did I find what I was looking for, and boy, was has the shopping experience vastly improved! With fresh eyes, I took myself on a bit of a tour around the place. At least 5 different employees must have asked me, in a completely friendly, gentle, and helpful way, if I needed help finding anything. The organization of the space was incredibly neat and inspiring, and appropriate tools could be found near the supplies related to them. Heavy-duty staplers, for example, are hung near the home dec upholstery fabric. Thumbs up! The seminar offerings are ever changing, and ever growing. On the Mood website, the link can be found on the lower right, where the (small) word "classes" appears among the horizontal choices. Perfect for the tourist or the local, they are seminars, not hands-on classes, so you can learn without lugging equipment, or dedicating any large amount of time for multiple classes. Often taught by popular "sewlebrities" (like my new word? ), they can fill up quickly. The free "Mood School" handouts with instructions for doing things like applying invisible zippers are fabulous. 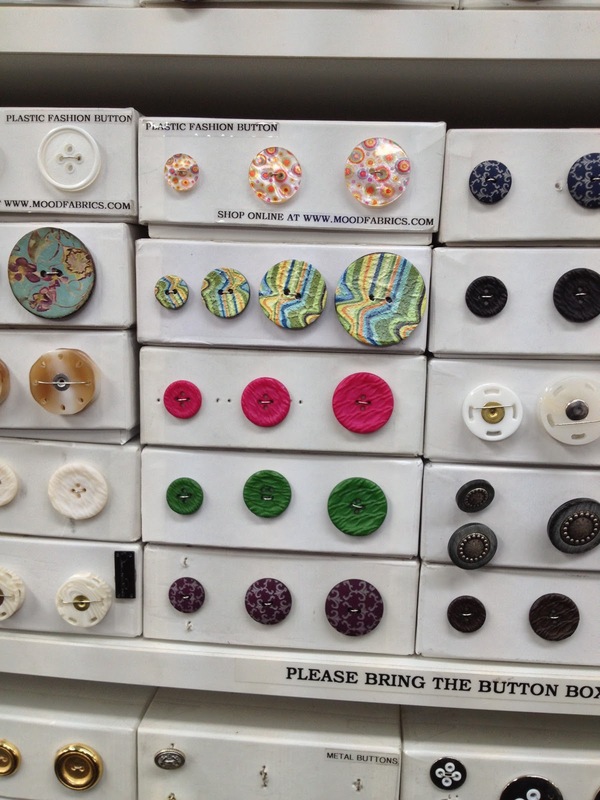 The button selection is amazing, and as always, the home dec section is wonderful. They have what i need for my bag! Now, look at those wavy stripes! In a nutshell, Mood can be a really great choice for the ambitious creative person who needs additional information or help. I have personally seen that management really listens and responds to the customer service feedback they have received. Mood is particularly great for the creative who craves order and instructions, and yes, it is a really inspiring place to be! 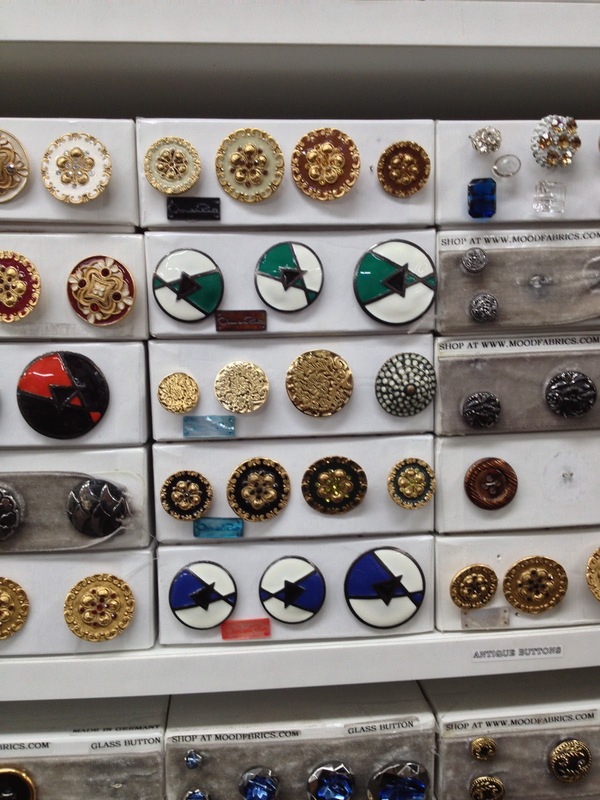 There are stores in the garment district I pass regularly, and have never venture inside. 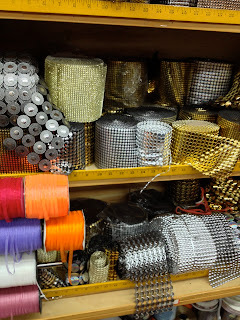 Despite recommendations from STGD friends and others, I had not been specifically moved to visit this store, since I am not a person who uses a multitude of flashy trimmings. The feathers and sparkles in the windows had never lured me in. But then, because I am working out the design details for a bag I am making, I decided to take a look, and found all sorts of fun stuff. 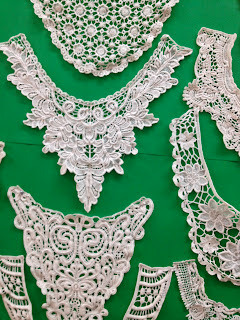 Of particular interest were these lace neckline decorations (also in black). I can see ways to use them beyond bridal. I walked in, with a bit of time to spend, and saw all of the fun, unexpected stuff! There's also an arrow pointing up, inviting you to go upstairs. Follow that arrow. Fun bridal stuff up and more up there. The store is quite affordable, not high-end, and it looks like it appeals to the costumer/artist types. At least, that's who I saw when I was in there. No pressure or aggressive salespeople while browsing. Just fun. I've written an article on this business for the June/July issue of Vogue Patterns Magazine. Click through to read it! When directed to the magazine itself, there are sample pages, and my article is free to read online. Then, if so inclined, go 'head and buy yourself a copy to read the rest of the issue! Update: Martha Stewart thinks they're great, too! Have I died and gone to heaven? Apparently not, if you're reading this. Unless of course, you're using a "cloud" reader... Ba dum ching! Go ahead, click it, and come back. When you walk into the brick and mortar store, reviewed on this blog in the past, the owner, Frank Sena will likely be there to meet you. I must say, the garment district is a less warm and fuzzy place now than it once was, and you get the feeling that there is a bit of fatigue with the endless browsing, questions, and dreamers wandering in. But then, when you get a layer deeper, a true interaction begins. According to Frank, Sposabella holds the record for being the only garment district fabric store serving in same location continuously. We know the real estate leasing woes that have plagued so many over the years, and somehow, Frank has managed to avoid playing that game. So many of these stores are family businesses - fathers, sons, grandfathers who skillfully learned the trade, make great deals, and sell quality goods. They take the embroideries and surface treatments on the laces and nettings very seriously. Who should go to Sposabella? You are likely a bride, dressmaker for, a mother of, a bridesmaid, or someone getting ready for a very big formal event that merits the expense. Your pockets need not be excessively deep, but Sposabella is not for the bargain hunter. 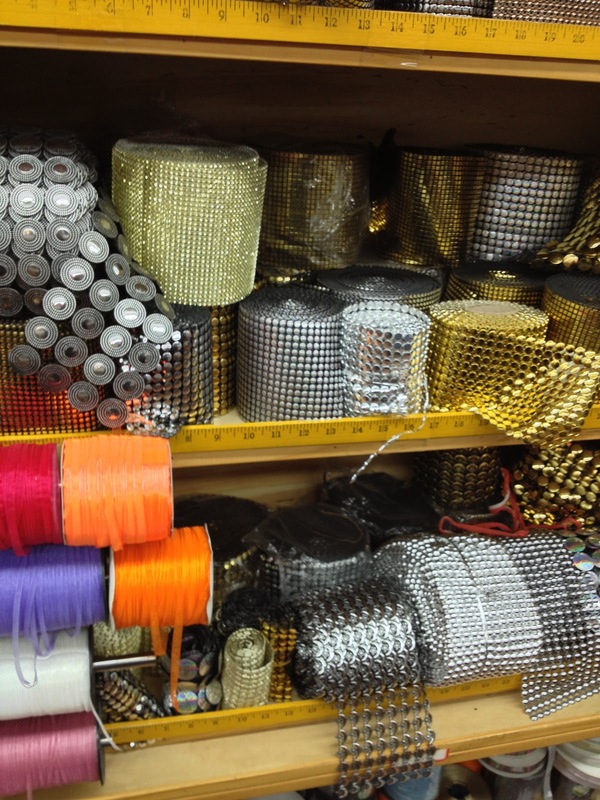 It is also a great place for tiaras and veils, whether you sew, or don't sew at all. Because it is mainly bridal, you won't find a wide range of colors. Let's take silk tulle as an example. Frank ushers me over to the counter, and pulls a small bolt from the glass case. "Now, there's what people will sell as silk tulle.... I mean, you don't really know the difference, right? ", as he guides me to feel the fabric in my hands, "... and then there's actual silk tulle." But he also has the goods to back it up. Look around. The stuff is beautiful! And here's another thought. Lace for men. A beautiful - and even expensive lace can be the magic element of a shirt when strategically applied to show off its beauty. Look to this fabulous post by Peter for inspiration! "Ma also gave me $2.99 to buy a paperback Webster's dictionary. This cost us almost two hundred finished skirts, since we were paid 1.5 cents per skirt. For years, I calculated whether or not something was expensive by how many skirts it cost. In those days, the subway was 100 skirst just to get to the factory and back, a package of gum cost 7 skirts, a hot dog was 50 skirts, and a new toy could range from 300 to 2,000 skirts. I even measured friendship in skirts. I learned you had to buy Christmas and birthday presents for friends, which cost at least a few hundred skirts each. It was a good thing I only had Annette as a friend." - Kwok, Jean. Girl in Translation. We lost all our money in the move to the United States. My family started working in a sweatshop in Chinatown. My father took me there every day after school and we all emerged many hours later, soaked in sweat and covered in fabric dust. Our apartment swarmed with insects and rats. In the winter, we kept the oven door open day and night because there was no other heat in the apartment. With all of my recent talk about foreign factory labor, unions, the importance of local suppliers, etc. Here's the kicker: I read the about the author page on the web, after seeing her familiar face with a link on a high school friend's Facebook page. The high school the author went to? Same as my own. I didn't know her personally, although the classes were small, (at least, I don't remember - my apologies if you see this somehow, Jean if that isn't true, but I certainly know your face!) since we were a year apart. The hard truth is this: You have no idea what kind of hardship your neighbor may be facing. With enough food worldwide to fill everyone's bellies, 1 in 8 people is hungry. This shocking statistic is amplified when visiting the Our Global Food exhibit at the American Museum of Natural History in New York City right now. With our closets and drawers overflowing, and workers are sometimes risking even death to make even more clothing for those of us privileged enough to buy even more stuff, without even thinking twice. A family friend who works as a home health aid had a nearly impossible time trying to find an appropriate school for her autistic son, so she could simply earn a modest living. The fact is, this is about far more than clothing. What can we do? Well, we don't need an official "movement", since everyone can take steps of his/her own. Here's what my (literal) sister is doing. How about you? So, here's the skirt to go with my Yeah, Baby shirt (also known as the Ombré Hombre shirt). Topstitched and casually top-of-knee length, it is just what I want to wear. I decided that I really only want to wear skirts and dresses for the warmer months this year, so that's where I am nowadays... My dress form is flatter than I am, but kinda close to my size, so this is how I am showing it to you. On me, it is completely smooth. 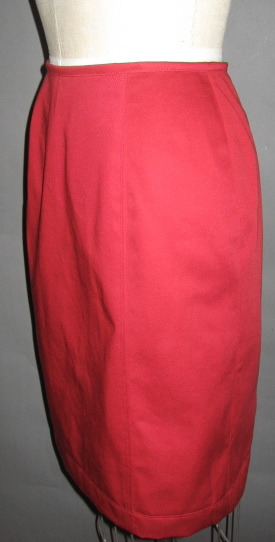 A hearty cotton twill, very denim-like in durability, in a shade of red I desperately needed. A durable pocket, just right for a MetroCard and whatever sliver of paper I might wanna carry..
Rosen & Chadick for dark (my new neutral) red cotton twill. Then, a random fact popped into my head. I live in what is arguably the fashion sneaker capital neighborhood of New York City. Just an aside here, but my neighborhood is actually, officially a test market for high-end blinged-out sneaker fabulousness. So, without a doubt, there are bound to be shoelaces that are exactly what I need! Ready-to-wear similar options are largely absent on the 'net... so maybe I'm in the minority for liking this one? That's okay. It is just for me, after all, and I'm the only one who has to like it! Well, if people start throwing tomatoes at me while I walk down the street in it, I may reconsider. Generally speaking, everything I make gets a few glances and/or comments for a year or two... and then people LOVE it three years later. So, either I'm ahead of the curve, or simply out-of synch. We'll see if that's the case here, too. I have a bit of ManRepeller induced "fashion-phobia/philia" these days. After all, sometimes I just love something other people hate. Or vice-versa. We've gotta let that be okay. My new shirt was inspired by this picture and tutorial, if you are wondering how to make one, and need some direction. My skirt is a variation on an old Vogue pattern (9773 - not similar enough to the original pattern to merit its inclusion here). I've been using the old, significantly altered tissue forever (or since 1997, judging from the pattern envelope). I like princess seams in my skirts, so I can just mold the skirt to my (practically nonexistent) hips and rear. Anyway, the ensemble makes me happy.